Wildlife Heroes: 40 Leading Conservationists and the Animals They Are Committed to Saving is published by Running Press and can be purchased at Amazon, Barnes & Noble, Indie Bound and local bookstores. to help them continue their work to save species. People around the world are fascinated by wildlife and wildlife conservationists - they are captivated by the animals, and those people working in the remote corners of the Earth to save them. Wildlife Heroes provides a visual and written window into the world of these admired individuals, the fascinating species and the issues that must be resolved to save them. The book's stunning photos capture the beauty of the animals and the magnetism of the heroes as they work in the often grueling conditions where the animals live. 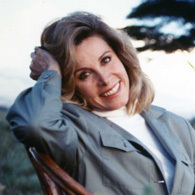 Each chapter is introduced with a personal essay by celebrities who themselves are committed wildlife champions, including actor Ted Danson (Cheers, CSI), actress Stephanie Powers (Heart to Heart, Herbie Rides Again), US Representative Jay Inslee, TV Host Jack Hanna (Jack Hanna's Animal Adventures, Into The Wild), and author Kuki Gallman (I Dreamed of Africa). Wildlife Heroes will appeal to both avid animal enthusiasts and casual readers wishing to learn more about our planet and the people working to protect it. 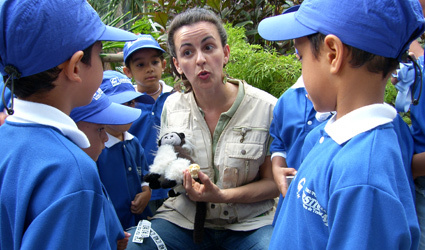 Julie Scardina is Animal Ambassador and Corporate Curator responsible for Animal Training and Animal Ambassador programs for SeaWorld Parks & Entertainment. 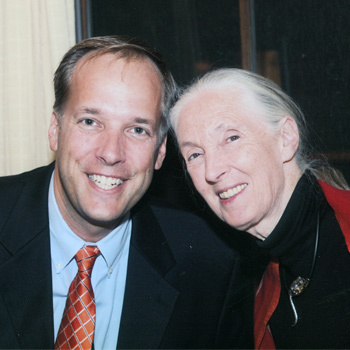 Scardina serves on the board of the SeaWorld & Busch Gardens Conservation Fund, is an active mentor and board member with the Emerging Wildlife Conservation Leaders and participates on the World Wildlife Fund National Council. She regularly travels into the field to learn about and document the projects and conservation issues so important today. 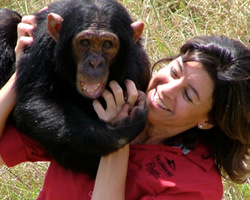 Scardina shares her passion for animals and the parks education, conservation and rescue efforts as a monthly guest on the "Today" show and as a long time guest on "The Tonight Show" with Jay Leno. Scardina graduated with honors from San Diego State University. 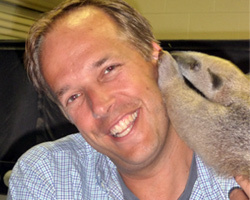 Jeff Flocken is DC Office Director for the International Fund for Animal Welfare where he leads the organization's policy experts advocating for animals. 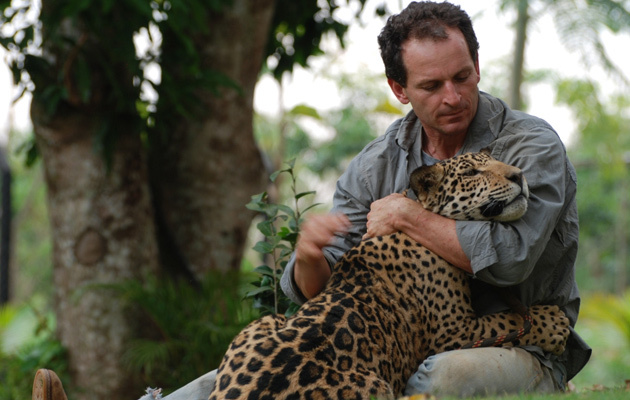 In this capacity he works on campaigns combating the wildlife trade and conserving polar bears, lions, whales, tigers, and elephants, among other species. Before this, Flocken worked for the US government doing international species conservation. Flocken has been a consultant on movies, books and television shows addressing wildlife issues, and serves on advisory boards for several wildlife organizations. Flocken is also the cofounder of the Emerging Wildlife Conservation Leaders initiative which mentors and provides training for up-and-coming wildlife leaders. He has a law degree from Wayne State Law School, and graduated with honors from the University of Michigan. Authors Julie Scardina and Jeff Flocken are long time wildlife conservationists in their own right. Both share a passion for animals and are excited to tell the stories of people they are themselves inspired by. Q: How did you come up with the idea for this book? 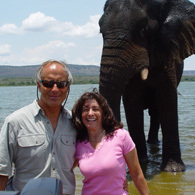 Jeff: My co-author Julie Scardina and I have been friends for over 15 years, and we've both been doing wildlife conservation that whole time -- Julie with SeaWorld-Busch Gardens, and me first with the federal government and now with the International Fund for Animal Welfare. Through this work we were continually meeting these incredible wildlife conservationists who had given up "normal" lives in order to save species. And we thought - wouldn't it be great if we could tell the world about all these amazing people we've been so fortunate to meet through our work. That's how the idea for Wildlife Heroes came about. 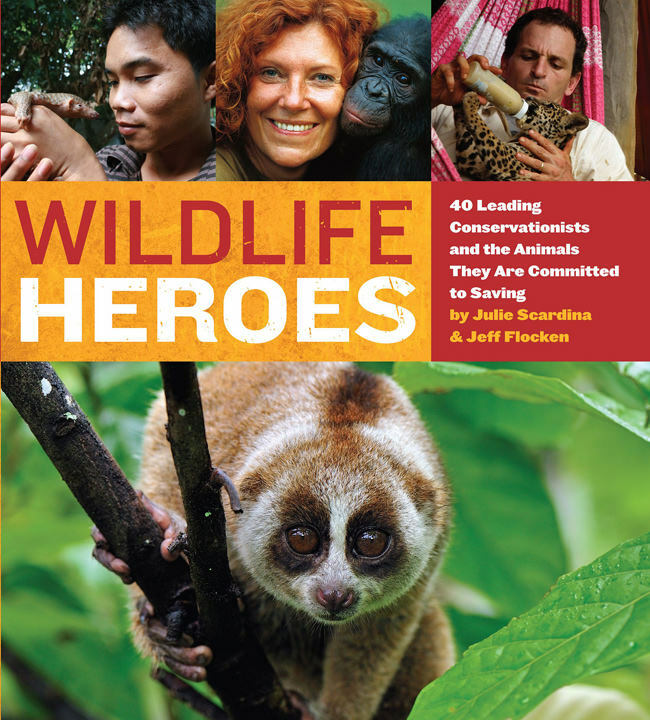 Q: How did you pick the 40 wildlife heroes you selected for the book? Julie: It was very difficult. There are hundreds of conservationists working to save species and address threats around the globe, but we needed to get it down to just 40. So we started with those we knew -- many of the conservationists we had worked with personally, while others we knew of from their reputations and accomplishments. 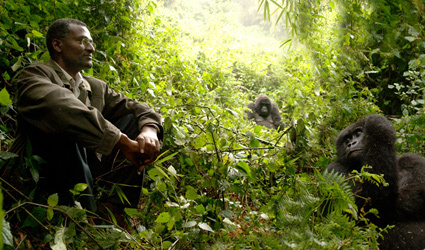 We were looking for established heroes, as well as up-and-coming conservationists. All of them had to be making a difference for the species. We also wanted to get the right variety of species - diverse geographic and taxomic representation, some marine and some land, and so on. But of course we couldn't fit in everything we wanted - we would have loved to have included heroes working on giant anteaters, hippos, gibbons, eagles, wombats, pythons and more. But maybe we can find a place for those animals in volume two! Q: There are some really impressive celebrities who contributed essays to the book. How were you able to get them involved? Julie: All the guest contributors who wrote essay's for the book - actors Ted Danson and Stephanie Powers, television host Jack Hanna, Representative Jay Inslee, and writer Kuki Gallmann, are all committed conservationists who have used their high-profile lives to help animals. Every one of these people was a natural fit for a book highlighting wildlife heroes, because they are in fact heroes for wildlife themselves. Q: Do you have your own favorite animal? Julie: I truly love all critters - even tarantulas. But I will admit that I am partial to elephants with their incredible intelligence and family structure. I also have so much respect for species with which I have worked including whales - and even birds. It floors me how intelligent both these very different groups can be. The diversity, adaptability and complexity of life on Earth still leaves me in awe! Jeff: Like Julie I pretty much love all animals too. But I have worked a lot on conservation of big cats like lions, snow leopards and jaguars. I also did field research on giraffes in Kenya so they are near to my heart. And I love the species people don't necessarily know about like tapirs, aardwolves, aye-aye's and saiga - there are all these absolutely amazing creatures that have shared our planet for thousands of years, yet we still barely know anything about them. Q: The images in the book are really amazing. How did you collect them all? Jeff: First of all we had a fantastic photo editor, Sterling Zumbrunn who helped us assemble these photos. Many of them were donated from the heroes themselves or from photographers who support their work. We even added some images from our own travels to the book. The rest were assembled from some of the world's best wildlife photographers. Q: Were there any special challenges to writing a book like this? Julie: Actually there were a lot of logistical challenges to pulling this book together. We had to track down 40 of the busiest people on the planet, who by the nature of their work are often out in the jungle or on the ocean in a boat for months at a time with little or no way to communicate. And when we did get a hold of them, many of them were so humble and generous that they didn't want to talk about their own accomplishments, but instead kept insisting we focus on all the other people who contributed to the species' survival. On top of that, we needed top-quality photos of animals that by the very nature of their rarity are almost impossible to get on film. One of our heroes - John Lukas - has been working on okapi conservation in the jungles of the Democratic Republic of the Congo - facing threats to his life from political instability and disease - for over a quarter century, and he has never once seen an okapi in the wild. And these are the kinds of animals we had to get photos of. So you combine the challenge of locking down the heroes, and the challenge of getting the right photos, and it ended up taking us over three years to complete the book. The wildlife and wild places of our planet are threatened as never before by human population growth and our constant destruction of the natural environment. We desperately need wildlife heroes, and this timely book celebrates 40 of those who are struggling to save various species around the world. These men and women are shining inspirations, and hopefully, after reading this book, you will be inspired to do something yourself to help animals in need." I know many of the heroes and am incredibly impressed by their passion. Julie and Jeff chose these folks [because] they have fascinating stories to tell, and they inspire action in others." I have great respect for wildlife conservationists...How exciting that [we] have the ability to save something in [our] lifetime." Our planet is a living breathing thing rapidly disappearing in front of our very eyes. How can we unite our neighborhoods, our cities, states, and countries to join the fight to resuscitate our spaceship...Planet Earth. The heroes, celebrated in this book, will help us gain a greater understanding and appreciation for what it takes." The infinite absence caused by extinction represents such a profound loss, it is difficult for us to fully understand. There are, however, moments when you catch a glimpse of it, with the painful insight of its irreversibility and permanence impossible to ignore." 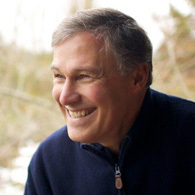 Jay Inslee, Congressman, Environmental Champion, and Co-Creator of Apollo's Fire: Igniting America's Clean Energy Economy. ...this impressive list of wildlife heroes, all leaders in their chosen fields, men and women of extraordinary expertise, talent, and courage who spend and often risk their lives in the front line of conservation in remote and often lonely parts of our planet, to ensure that today's species will not become tomorrow dinosaurs. [Their] contribution is incalculable, and with deep respect and gratitude, I salute [them]." The pithy summaries of the activists' struggles are accompanied by informative tidbits about the biology, behavior, natural history, and cultural context of the target species, along with delightful photographs of both human and beast. From the grassland-dwelling maned wolf of Central South America to the iceberg-hopping emperor penguin of Antarctica, the book shows how negative human interference imperils the welfare of all living things, and suggests that by taking an active role in conservation, education, and community building, we can help prevent the tragic loss of the world's biological diversity." ...this keenly charismatic, solidly informative call for the preservation of life affirms that it is still possible, with concerted effort, to save animals from extinction." Julie appeared on The Tonight Show with Jay Leno talking about Wildlife Heroes. Jeff appeared on The Bob Edwards Show talking about Wildlife Heroes. 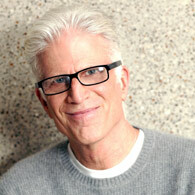 Jeff appeared on the National Public Radio (NPR) Animal House Show. Jeff was profiled in Arlington Magazine August issue. Jeff was featured in The School for Field Studies Alumni Magazine. Jeff appeared on Washington's News Channel 8 Let's Talk Live Show with Natasha Barrett. Julie appeared on The Today Show talking about Wildlife Heroes. 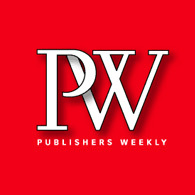 Wildlife Heroes was featured in the Huffington Post book section and front page. Jeff appeared on Washington DC's WTTG-TV Fox News. Jeff appeared on NPR New Hampshire. Julie appeared on WVXU Radio Cincinnati. Julie appeared on the San Diego 6 Living Show. Julie appeared on the Fox - Good Day LA show. Jeff will be doing a talk and book-signings at the Zoos & Aquariums Committing to Conservation Conference at Blank Park Zoo in Des Moines, Iowa on July 8, 2013. 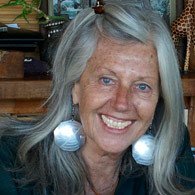 Julie will be doing book-signings at the Southeastern Wildlife Expo in Charleston, SC on February 15th and 16th, 2013. Julie will be doing talks and book-signings at Wild Days SeaWorld San Antonio, Texas on February 1st, 2nd, 8th and 9th, 2013. Jeff will be doing a talk and book-signings at the Library of Congress in Washington, DC at 12noon on November 29th. Jeff will be doing a talk and book-signing for docents and volunteers of the Philly Zoo in Philadelphia, Pennsylvania on October 24th. Jeff and Julie will be doing book signings at the Wildlife Conservation Network Expo in San Francisco, California on October 13th. Jeff will be doing a talk and book-signing for supporters of the Columbus Zoo in Columbus, Ohio on September 19th. Jeff and Julie will be doing book signings at the American Zoo & Aquarium Annual Conference in Phoenix, Arizona on September 11th. Jeff will be doing a talk and book-signing at the Visitor's Center of the Grand Teton's National Park on August 30th. Julie will do a book signing at Camp Pendleton Marine Corps Base in Camp Pendleton, California on May 5th. Jeff will be doing a talk at the Minnesota Zoo in Minneapolis on Monday, September 17th at 6.30pm. Jeff will be doing a signing at Barnes & Nobles Bookstore in Portage, Michigan on Sunday, July 8th at 2pm. Jeff will be appearing at the Houston Zoo in Texas on Sunday, May 20th.